Tumbled Marble – you don't need to get a headache deciding which style of marble to choose, we've done that for you; ours are chosen from the exquisite Ionic Stone Marble range, great quality, beautiful finish. 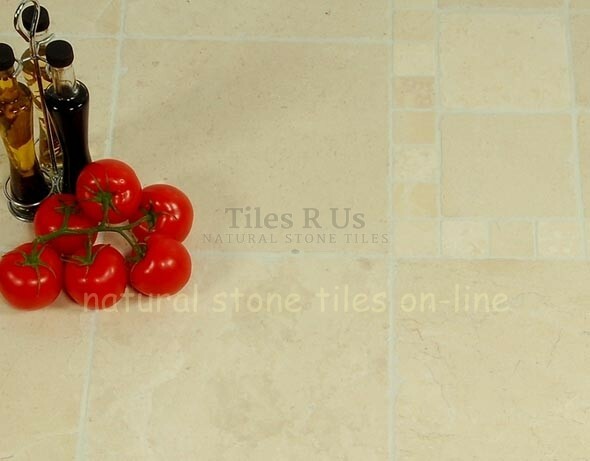 This marble stone is the equivalent of A grade Crema Marfil but offering a cost effective option. It is very consistent in terms of colour and very minimal variation occurs. The Tumbled finish provides a very classic look and this helps make Olympus crème one our most popular marble tiles.The smaller tile size (100x100) makes a great complimentary mosaic for the larger tile.